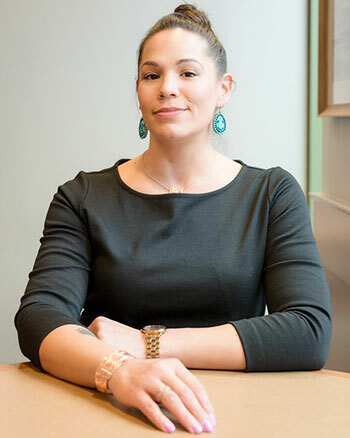 Because there’s no time to lose, Vanessa Ambtman-Smith plans to explore an in-hospital medicine lodge on her way to join other scholars at the inaugural Indigenous Mentorship Network Summer School in Sudbury next week. “We have to hit the ground running because there is a lot of ground to make up and we have a big job cut out for us,” she said. The five-day summer school, with Laurentian University as host, is a platform for a group of 25 graduate students to build networks and share expertise on Indigenous, community-based health care. Ambtman-Smith, a Western graduate student in Geography, is the university’s scholarship winner through the Indigenous Mentorship Network-Ontario. The five-year health program, announced earlier this year with funding through the Canadian Institutes of Health Research (CIHR), provides Indigenous scholars and trainees with mentorship, training and other opportunities to participate in Indigenous health research. Ambtman-Smith, who is Métis-Cree, has worked as the Indigenous health lead in charge of strategic health planning for the Southwest Local Health Integration Network. She is also on London’s Police Services Board and has served on the Mayor’s Poverty Panel in London. Now, as a health geographer, she is working to effect change for current and future generations. “My background in health care has really helped me to see the potential of research and of having Indigenous-led work done in the field and in academics,” she said. Her research includes finding ways to move towards reconciliation between mainstream hospital practices and holistic Indigenous practices. In one example she has studied, a southern Ontario hospital set up a traditional healing centre but results were mixed. “Just creating the physical space was not enough to see a supportive environment created to try to connect a holistic model of care, which goes beyond physical health. There wasn’t enough support within the culture of that institution to create a culturally safe environment,” she said. The students attending the school from June 11-15 are the first group, part of a collaboration with 13 research institutions in Ontario and the province’s leading health scholars and research centres. The network’s program leader is Western Geography professor Chantelle Richmond, Canada Research Chair in Indigenous Health and Environment. For Ambtman-Smith, the school is an important foundation to how the scholars will conduct research. “Just building this community within this environment is going to be so important for us to get energized and for us to be able to have the support to continue to run, especially when things get tough. In Sudbury, Health Sciences North integrated a medicine lodge within the hospital facility four years ago, and Ambtman-Smith is eager to talk with the lodge-keeper and pursue potential collaborations. “We’re working as Indigenous people from Indigenous knowledge systems and from world views that are not new that have existed since time immemorial; however, they have not been integrated into the mainstream, western ways of thinking,” she said.